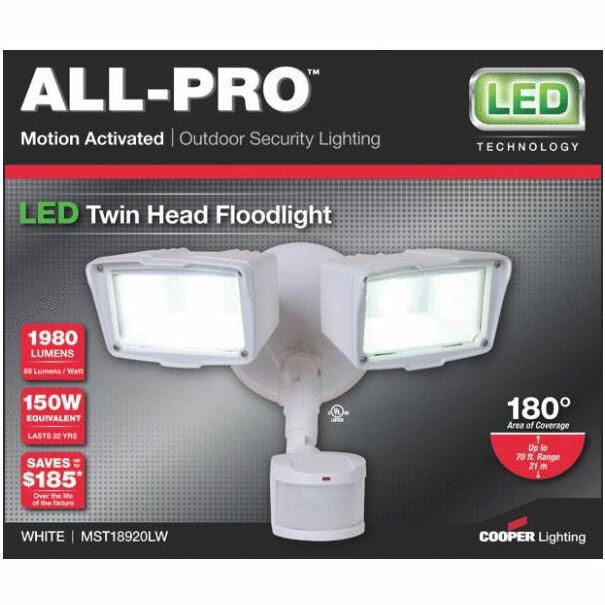 Motion activated twin head LED floodlight. 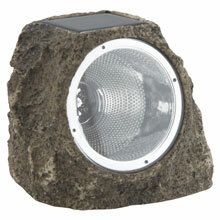 Lights automatically turn on at night when it detects motion. 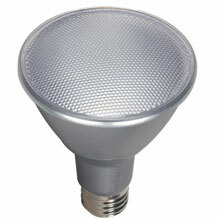 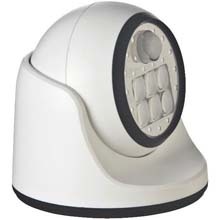 Motion sensor has selectable motion timer and a manual override which allow the unit to be operated as a floodlight. 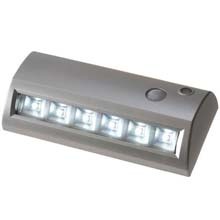 Mounts using existing junction box on wall or eave.